1. How do I unlock my computer if I forgot the only one administrator password? 2. I forgot my laptop Windows password and a password reset disk is not created, how to unlock it? 3. I need help unlocking my windows 7 password, my son has done something and I can't log on to my computer. Don't worry, there are some tips to unlock Windows password without the original one. Tip One: Unlock Windows Password with Professional Windows Password Recovery Tool. 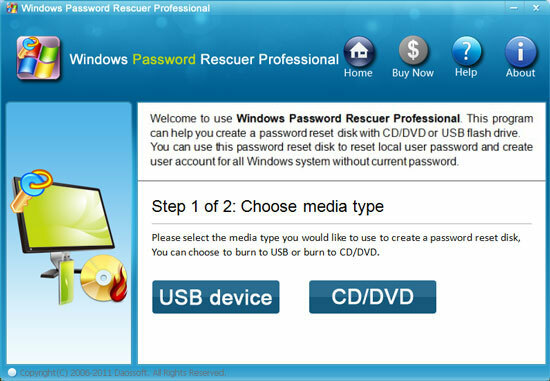 Step 1: Download and install Windows Password Rescuer Professional on "another computer" to create a Windows Password Recovery Disk. This disk can be used to unlock Windows 10/8.1/8/7/Vista/XP, server 2019/2016/2008/2003/2000 local administrator and other user password. Here I will show you how to unlock Windows 7 password with USB. Purchase Windows Password Rescuer Professional full version, then you will receive an email contains the full version download link. 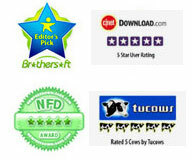 Download the software from that link and install it, then run the software. 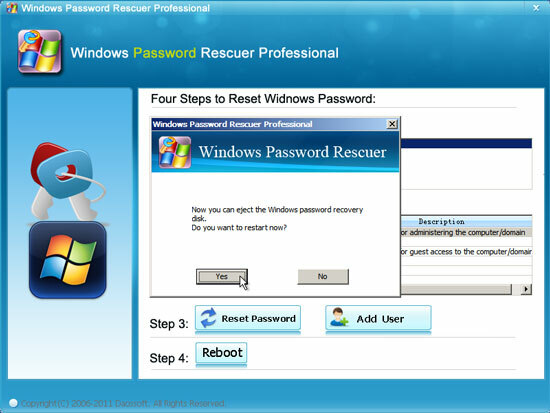 Note: Windows Password Rescuer trial version can only display the user accounts of your computer, but cannot reset password. Step 2: Insert the recovery disk to your locked computer and boot your computer from CD/DVD or USB. Step 3: Unlock Windows password with a few clicks. 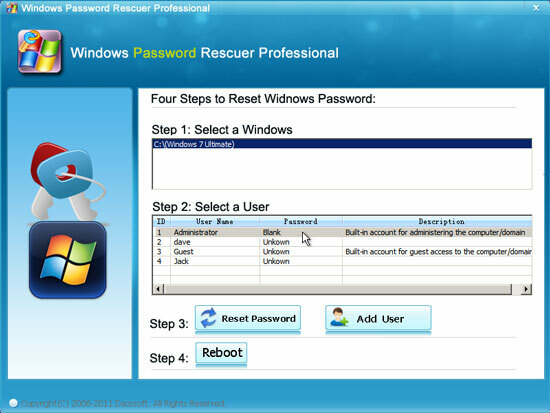 After booting from CD/DVD or USB, Windows Password Rescuer Professional starts automatically and ready. 1. All Windows user accounts will be listed, click one you want to reset its password. 4. Click Reboot. When a confirm message pops up, take out your Windows password recovery disk first, and click Yes to restart your computer then you can login Windows 7 administrator without password. Firstly, create a boot disk with password reset script yourself, then use it to unlock Windows password on your computer. It is available for unlocking Windows 7/vista/XP/2008/2003/2000 password. 1. Create a windows PE boot disk, and use it to boot your locked computer. 3. Edit registry offline to setup that the script can run while windows start up. 4. After you boot your computer from this disk successfully, you can reboot and login administrator with new password:123. If you have created a Password Reset Disk, you can easily reset the unknown password in seconds. This is a free and easy way to unlock Windows 7/Vista/XP password without data loss. 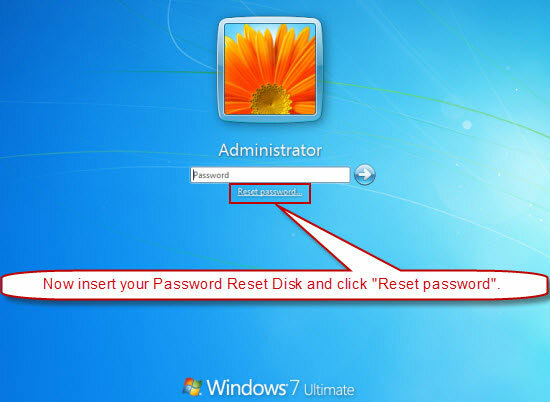 Take Windows 7 Password Reset Disk for example, see how to unlock Windows 7 password in seconds. 1. When you failed to login Windows 7, it will show you a link "Reset Password.." under the password box. 2. Plug in your password reset disk(this can be created with USB), click the link open the password reset wizard. 3. Click Next, choose the drive name from the pull-down list, click Next. 4. Type a new password in the new password box, and type it again to confirm. Click Next→Finish. Then you can login Windows 7 again with the new password.